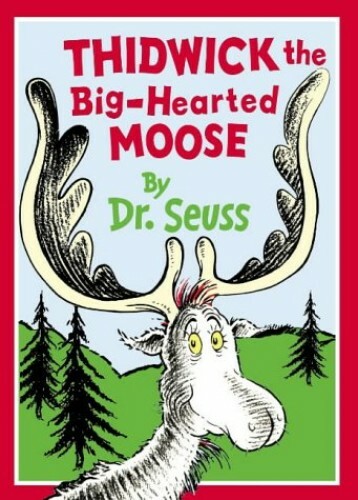 Thidwick the big-hearted moose is happy his antlers "can be of some use" to a menagerie of animals who move in and make themselves at home. "A host has to put up with all kinds of pests. For a host, above all, must be kind to his guests." Packed with all the ingredients that have made Dr. Seuss so well loved over the last 50 years -- riotous rhyme, bizarre creatures, zany artwork, off-the-wall humour, -- this engaging fable about selfishness and selflessness is vintage Seuss at its very best.